Gawn and Smith, now the Melbourne Cricket Club president, chatted on the flight home after Sunday’s drought-busting AFL win over West Coast. Beating the Eagles means the Demons will play finals for the first time since 2006. With 203 games from 1974-85, Smith ranks fourth among AFL/VFL players without a final. “You sit there and think surely it will come one day, you can’t go through a whole career without playing finals,” Gawn told RSN. “But then I was on the plane on the way home with Steve Smith … and he played in the ’80s and he didn’t play one final. The end of Melbourne’s 12-year drought has meant plenty of focus on Demons co-captain Nathan Jones, who’s played only two finals in his 260 games. 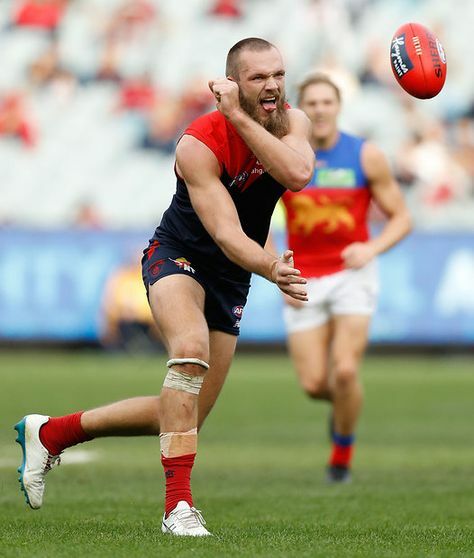 “He didn’t have his best day … but his last quarter was a real skipper’s knock,” Gawn said of Sunday’s tight win over West Coast. Gawn noted hard-nut defender Neville Jetta has played no finals in his decade and 137 games with the Demons. “Just to sit there and soak it in … it was just a really good feeling,” Gawn said. The Demons are adamant that ending the drought is only the start. “We definitely don’t just want to be someone who’s just there for the finals and no one knows about it,” Gawn said.